Ever heard a song on the radio or a party but don’t know the title or even the artist? Well, now you don’t have to hum it out for your friends to guess. 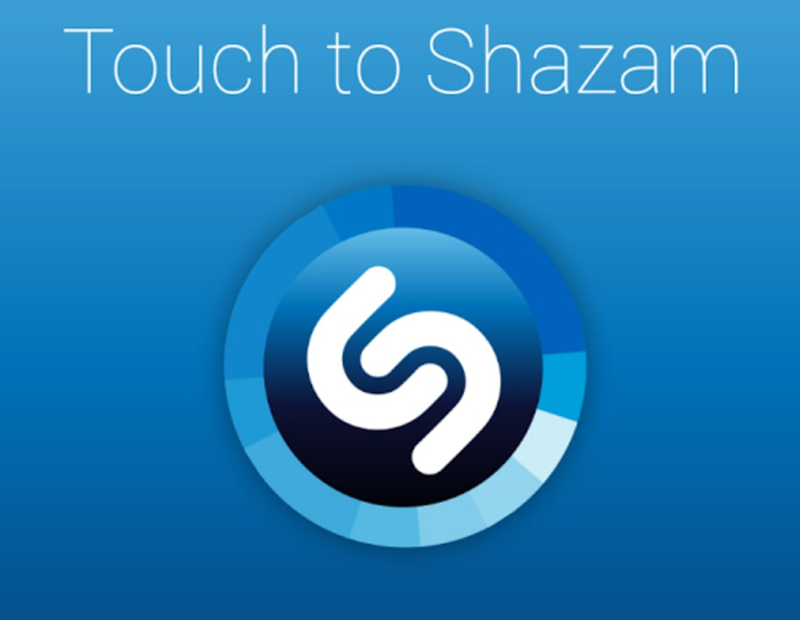 Shazam is a multimedia app that lets you identify any music playing around you. 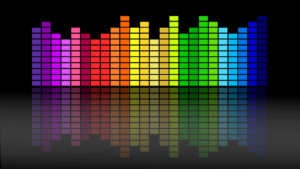 This music app is one of the most popular apps of today with hundreds of millions of users. 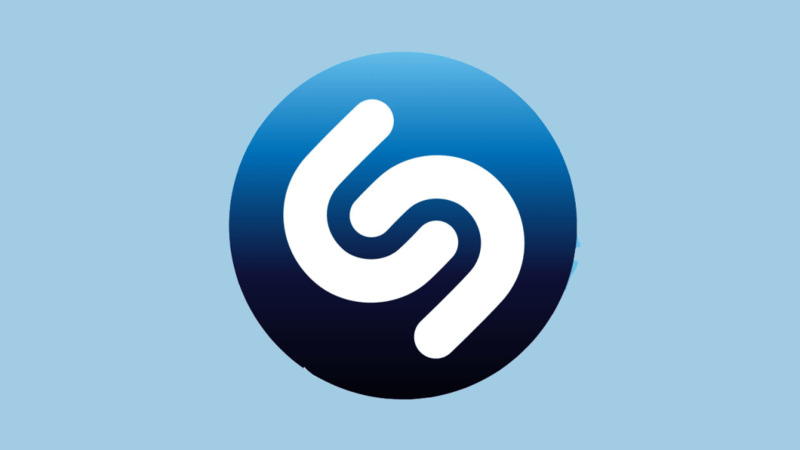 Shazam is developed to identify music based on a short sample. To know the title and the artist of a song, record the song for 10 seconds using your built-in microphone. The app will then create an audio fingerprint and analyze the captured sound to find a match in its database. Once it has found a match, it will display the information such as the artist, song title, and album on your screen. 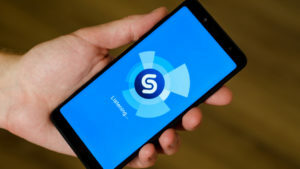 Shazam has more than 11 million songs on its database and incorporates relevant links to services such as iTunes, Spotify, Youtube and Groove Music. 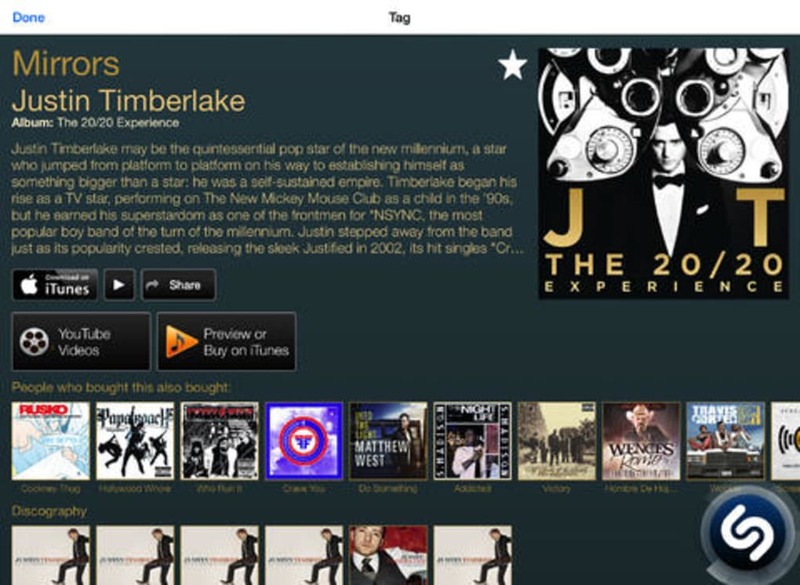 This way, it can identify almost any song available. 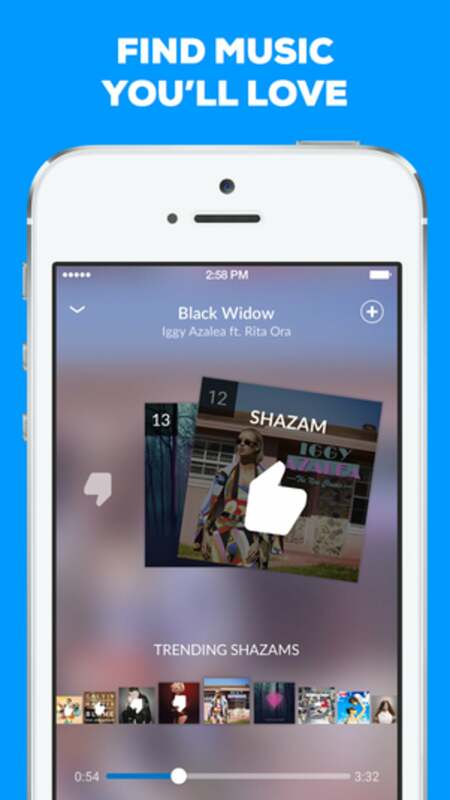 Shazam can identify music broadcasted on TV, radio, and cinema. 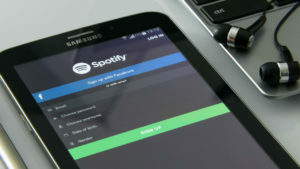 It can even identify music played in a club, provided that the background noise level is not high to prevent the acoustic fingerprint from being taken. Shazam also helps you get closer to your favorite artist as it allows you to follow them and let you see what they are Shazaming. New discoveries from the artist you’ve followed will appear automatically on your device. You can also be up-to-date on their new singles, albums, and videos. 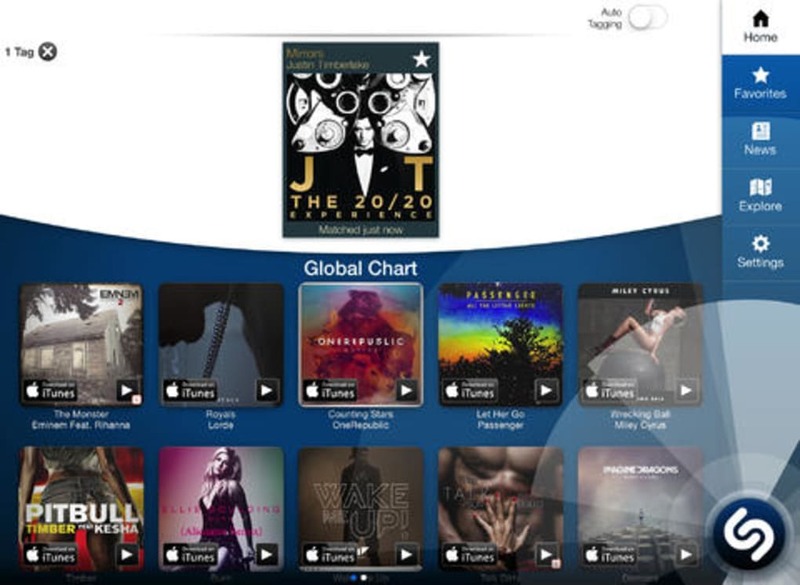 Shazam also lets you check out recommended tracks and real-time charts to stay on the loop in the music industry. If you are really not familiar with the song you are looking for or you don’t have a handy recording, Shazam can still help you. 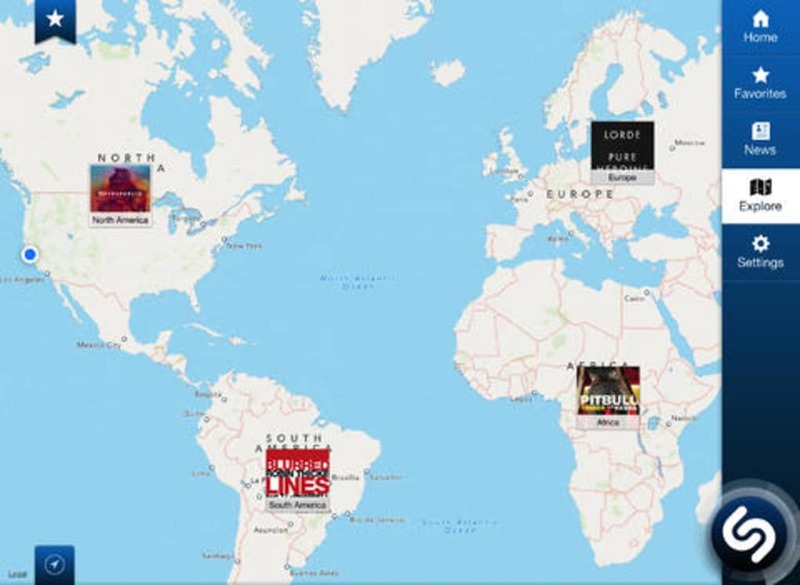 The app has got a visual recognition function which identifies the song using images. 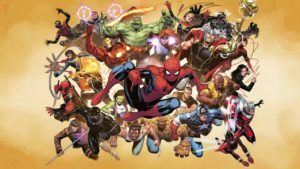 Simply tap the camera icon and capture an image from Shazam posters, magazines, and books. 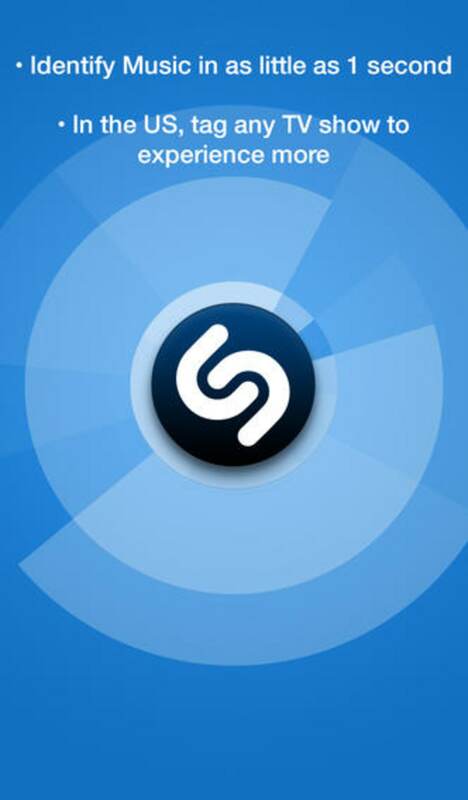 Shazam can identify music from anywhere as long as there is a Shazam camera logo. This feature can also work as a QR code reader. 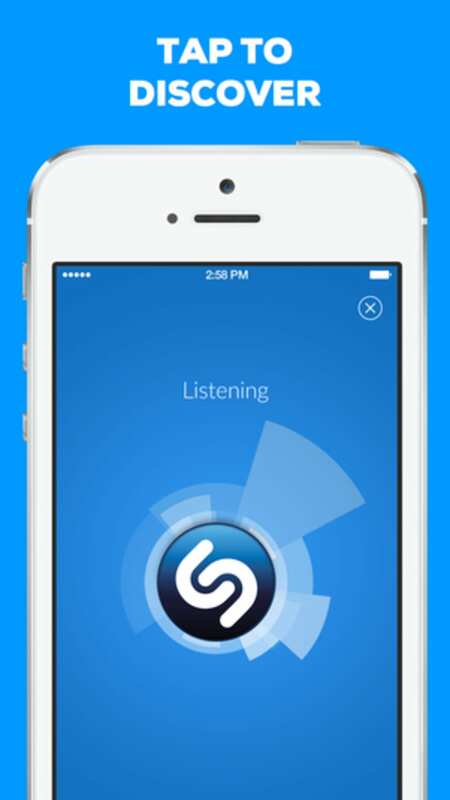 Shazam’s capabilities are not only limited to identifying music. 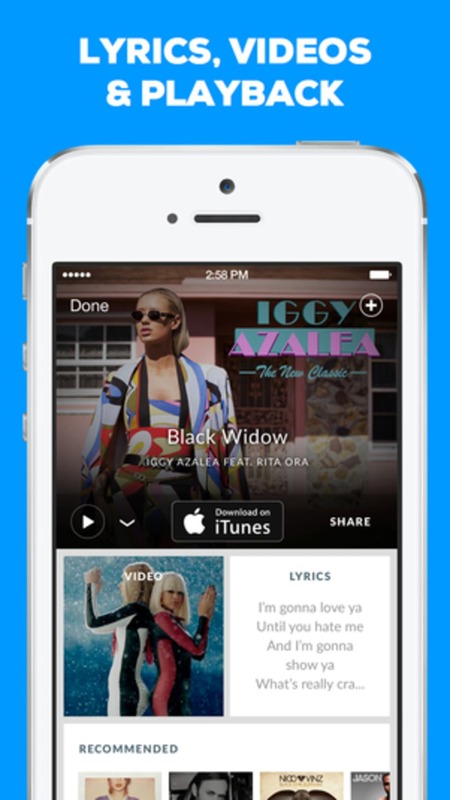 Recent developments also allow users to get lyrics as well as watch their videos. 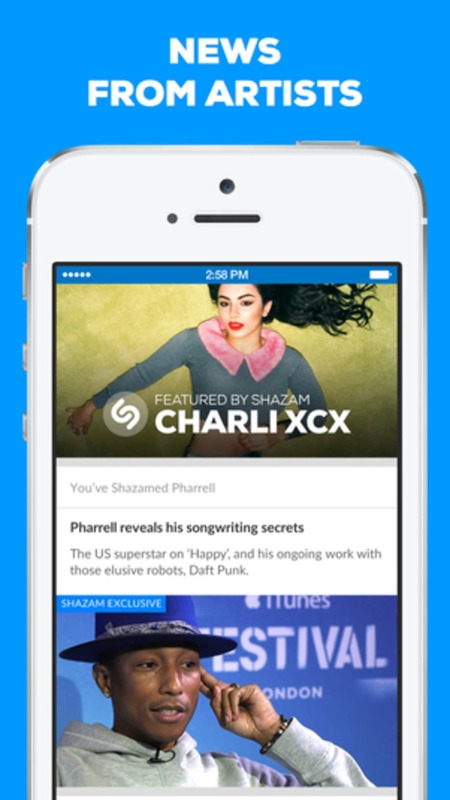 What’s more, you can now preview any music on Shazam and add them to your Spotify music or buy it on iTunes. Finally, if you love the song you discovered, you can share them on your social media accounts. 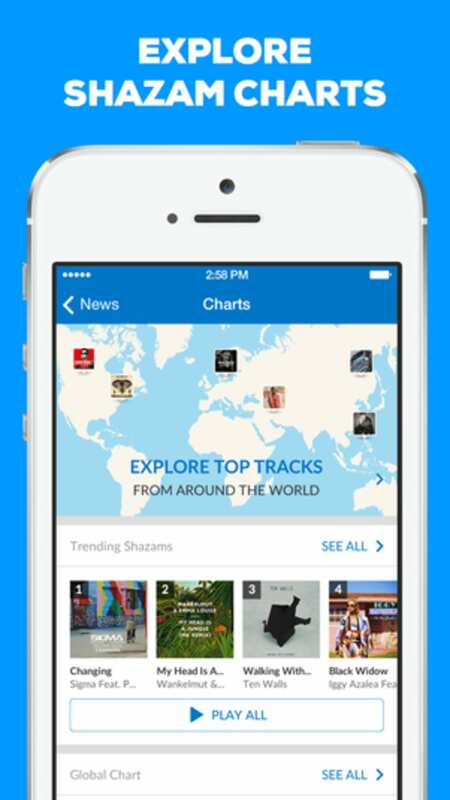 Shazam comes with a sharing feature that lets you post your discoveries on Facebook, Twitter, WhatsApp, and other social networking apps. Shazam provides any user with a solution to the old-age dilemma of trying to guess and remember a song. This app comes with an easy-to-use interface for you to easily find what you are looking for. With its vast database, it can help you expand your music library. If you love listening and discovering new music, this app is definitely a must-have.